A two-family house on a 40-by-100-foot lot with a pool in the backyard, a one-car garage and a carport, three bedrooms, three baths, and a den above a two-bedroom, one-bath apartment, near well-rated schools and public transportation in an extremely safe New York City neighborhood, now worth upwards of $800,000. That’s where I grew up. A one-family Cape Cod with one and a half bedrooms, two baths, a galley kitchen, a dining room that barely fits a table and chairs, a medium-sized living room, and a sun room sitting atop a small finished basement and a two-car garage, plus a small garden out back, on a 20-by-120 lot a block away from a historic district on a busy street, walking distance to the Staten Island Ferry, last appraised at $355,000. That’s where I live now. Both houses are on Staten Island, but they might as well be on different planets. New York’s least populated, most-difficult-to-get-to borough has a lot of housing to choose from, but you need to know what you're getting first. 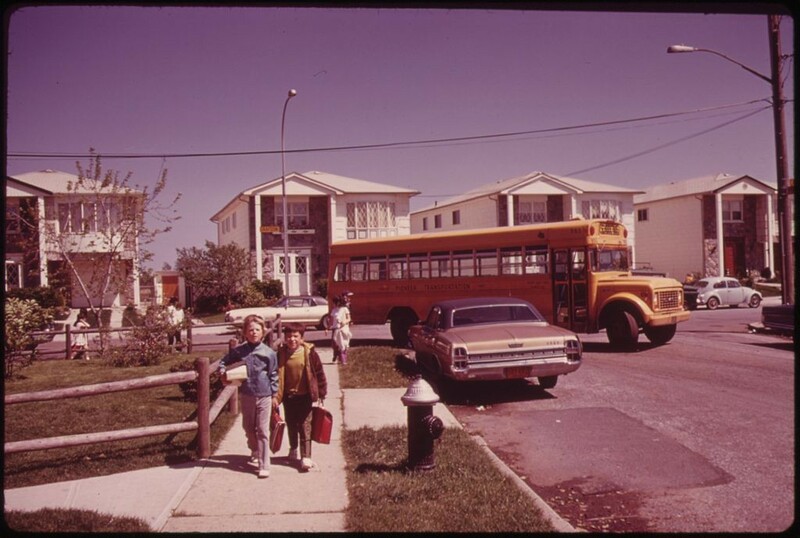 An afternoon scene in the early 1970s on a street lined with high ranches on Staten Island. The house I grew up in, on the Island’s South Shore, was built during the boom that followed the 1964 opening of the Verrazano-Narrows Bridge. It was a time when throngs of newlywed baby boomers from Bay Ridge, Bensonhurst, and Gravesend pooled their money with their parents, moved out of their Honeymooners-esque apartments, and bought into the American Dream in neighborhoods with names like Prince’s Bay and Pleasant Plains. The lily-white neighborhoods had brand-new schools plus a K-Mart, Pathmark, and a shiny mall just a few minutes’ drive away. The area's mother-daughter houses ended up home to packs of kids who rode their bikes on freshly paved streets, built tree-houses in the woods using plywood "supplied" by the builder cloning the next set of high ranches, and ice-skated on the water collected in the foundations of houses started in the fall but not to be finished until the next summer. Those houses, along with the "duplexes" (single structures split in half on the same-size lots, with two three-bedroom, two bath, “houses” in one), were churned out like the South Shore’s version of the Model T from the late 1960s to the mid-1980s. And for the most part, they are still there, and are still making the same suburban promise: safe neighborhoods, reasonable-for-New-York prices, and low-for-New-York property taxes. I lived in Carroll Gardens in the '90s as I got my start in the newspaper business as a reporter covering Brooklyn. By the time my wife and I began looking for a place with more space to put down roots in the early 2000s, the brownstone Brooklyn neighborhood once known for its gangland violence and superior cannolis had become a destination for young professionals from Manhattan seeking the same things we were, and we got priced out. Which is how we ended up looking for a place back in Staten Island, and ultimately settling on the North Shore. The house I live in now (and for the last—wait, 13 years?) is s-l-o-w-l-y becoming everything I figured it would be within five years of me moving in. The North Shore, as you may have read in one of a thousand real estate trend pieces, is the next big thing. 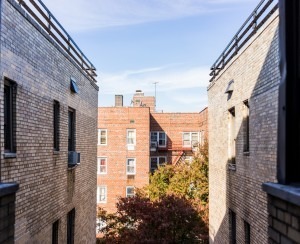 It has everything an "up-and-coming" neighborhood is supposed to have—proximity to Manhattan (a free, 25-minute ferry ride), decent, eclectic housing stock, good restaurants, and enough struggling artists sipping espresso in new cafes to give the Williamsburg of 10 years ago a run for its money. Urby is an elaborate new, pricey-for-Staten Island development in a former naval station, in an industrial part of Stapleton. High-end rentals and condos have already arrived on the North Shore. On the waterfront in Stapleton, two train stops from the ferry (yes, the Island has a train. More on that later), a former naval station has become Urby, a luxury rental building with brand-new studios to two-bedroom apartments, ground-floor retail, an outdoor pool, an indoor gym, and for the locavores, an on-site beekeeper, all abutting a new city park. Studios are currently listed starting at $2,095. In the “town” nearby (that’s what we Staten Islanders call the commercial districts that built up around train stations) there’s a greasy-spoon diner that has been there for years (Jerry’s 637), a closed movie palace just dying to be refurbished (the Paramount), a town square with a historic village government building near a library branch, a mix of Italian (Defontes, Errigo's), American (Gatsby’s), Mexican (El Patron) and Sri Lankan (Lakruwana) restaurants. There's also a methadone clinic offering a persistent reminder that the borough is ground zero of the city's opioid crisis. One stop closer to the ferry is Tompkinsville, home to Bay Street Landing, a gated waterfront community where prices on co-ops and condos have skyrocketed in the last few years. Developers converted three old warehouses there starting in the mid-1980s, when 1,000-square-foot studio apartments could be had for less than $100,000. Now, those go for more than $600,000, and units in the newest conversion, the Accolade, which opened its doors in 2014, can go for more than $1 million. 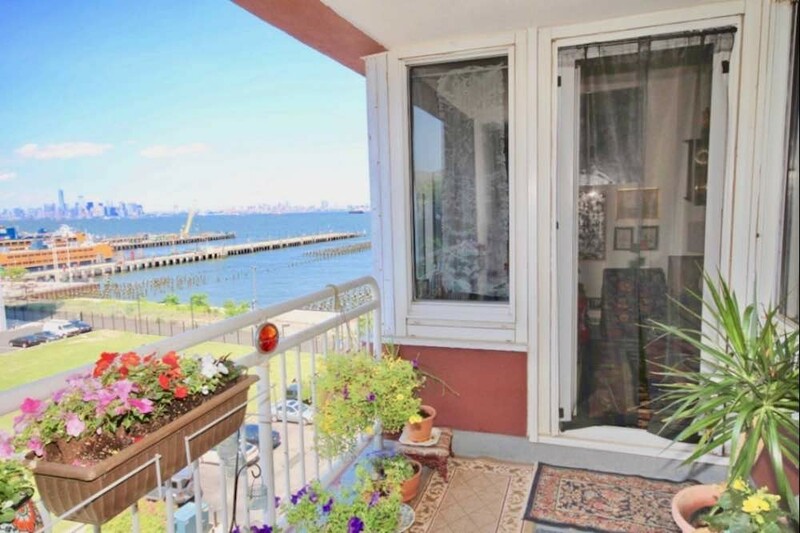 This one bedroom, one and a half bath in Bay Street Landing is listed for $650,000. And there’s more to come. New rentals are rising up even closer to the ferry at Lighthouse Point, steps away from the St. George terminal. The project promises 115 new apartments (with about 20 below-market-rate), going up at the former National Lighthouse Depot, now home to the National Lighthouse Museum. That development will also feature retail, restaurants, and a Starwood hotel. The partially constructed New York Wheel is in limbo, but construction continues on Empire Outlets, a new mall sandwiched between the Ferry Terminal and the Richmond County Bank Ballpark (home of the Bronx Bombers' minor-league affiliate Staten Island Yankees). Developers hope to lure tourists before they hit the ferry back to Manhattan, but the new outlet stores will also save North Shore residents a trip to the Staten Island Mall, which, in the center of the Island, is so far away it might as well be in New Jersey. This glamorous four bedroom, two bath Victorian on a knoll in Tompkinsville is listed for $775,000. Away from the big-ticket new developments on the water, bargains can be found among the North Shore's older houses, including larger one-family houses on large lots. The neighborhood of New Brighton is home to Snug Harbor Cultural Center—once a retirement community for “decrepit sailors” founded by John Randall and headed by Thomas Melville (Herman’s brother), the center is now a mall of museums including the Staten Island Children’s Museum, the John Noble Museum, and the Staten Island Institute of Arts and Sciences. Ranches, colonials, and old captains' quarters dot the surrounding neighborhood, with at least one house dating to the 1700s. A one-bedroom co-op is currently listed there for $180,000. A landmarked 5-bedroom on elaborate grounds is listed for $1.295 million. The neighborhood of St. George could be considered “Little San Francisco” thanks to its hilly terrain. Richmond Terrace sits at the bottom along a Brooklyn Heights-like promenade (featured in Madonna’s “Papa Don’t Preach” video). Rental apartments line the base, and the Mitchell-Lama Castleton Park Apartments, the Island’s tallest buildings, cast a shadow on the area. The small streets on the hillside behind the courthouses and Borough Hall are lined with an eclectic mix of old Victorians and newer one-families and some townhouses, and even more apartments. The Ambassador, which sticks out thanks to its cool art deco design, was once home to actors Paul Newman and Martin Sheen. Fort Hill Circle, tucked away at the hill’s peak, and St. Marks Place have some of the neighborhood’s priciest houses. On Richmond Terrace, a two-bedroom, one bath co-op is listed for $329,000. 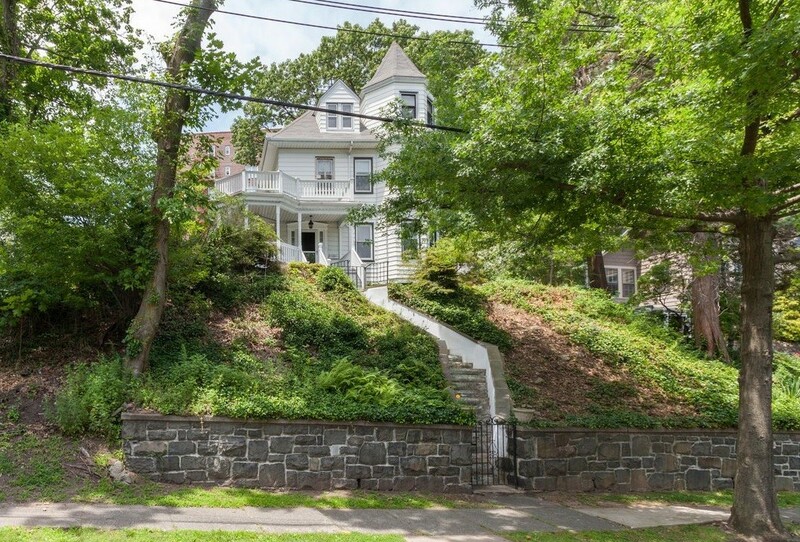 A four-bedroom four bath on Fort Hill Circle is listed for $795,000. Nearby Tompkinsville is less hilly, but also home to a historic district. Once known as “Mud Lane,” St. Pauls Avenue is an prime example of Staten Island’s development before zoning restrictions created cookie-cutter neighborhoods post-World War II. Near Victory Boulevard, row houses sit next to Cape Cods, wedged in between Victorians and Federal-style behemoths. Further up the block and the hill are mansions, some once owned by the German beer magnates who moved to the area in the mid-1800s. Those homes have historic protection, but to this day a few are in a state of disrepair. Crime is down in the borough as it is across the city, having peaked in the early 1990s. The North Shore is separated from the South Shore by the Staten Island Expressway, and its reputation for having more crime than the South Shore is in part because it is home to all or all but one of the borough's public housing projects, depending on your geographical definitions. The illicit drug trade reaches across lines of race, class, and geography, but some of its most in-your-face manifestations in recent decades on the Island have appeared in and around the public housing developments that gave the world the Wu-Tang Clan. The North Shore is also markedly less affluent than the South Shore, although it contains several solidly middle-class neighborhoods. 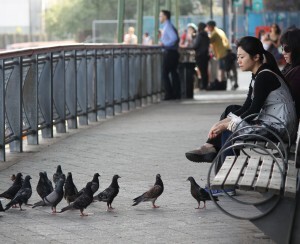 Tompkinsville Park, near the scene of Eric Garner's death, is a flashpoint in the debates over development and policing, with some locals complaining about addicts congregating in the park, as others see a proposed Bay Street rezoning and calls for more low-level enforcement as a way of pushing the underclass out of the area without addressing the underlying problems. If you're interested in seeing local crime statistics mapped out, visit the NYPD's Compstat 2.0 website here. The Staten Island Railway runs the length of the east side of the Island, and is free up to the last two stops near the ferry. One of the most fascinating things about the car-centric South Shore of Staten Island is just how far your can get with a MetroCard swipe—or without one. 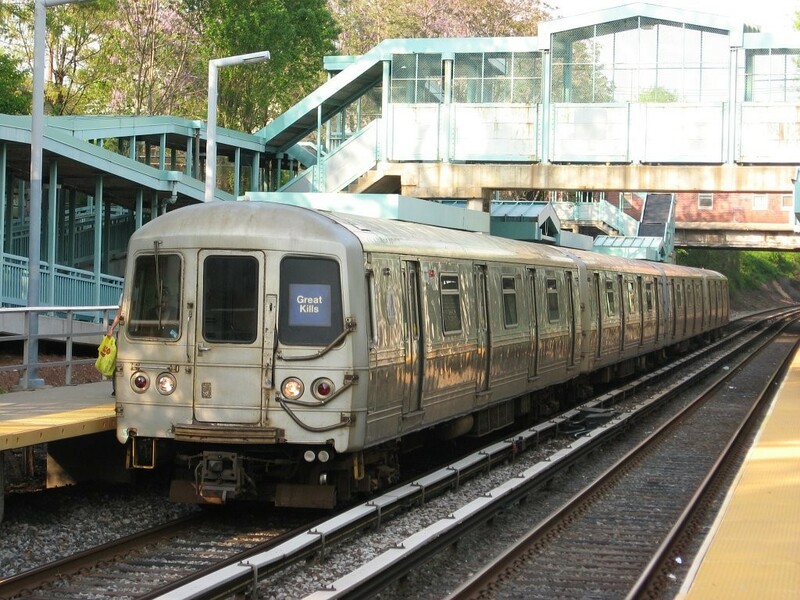 On the aforementioned Staten Island Railway, service between Stapleton on the North Shore and Tottenville—the southern tip of the island and the southernmost point in New York state—is free. If you want to get off at Tompkinsville or the Ferry Terminal, you have to swipe your MetroCard, but that swipe gets you a free transfer to the subway in Manhattan. That means you can get from the southern tip of the city to the far reaches of the Bronx (or Rocakaway Beach, for that matter) for $2.75. For those relying on the ferry, there's a clear logic to staying as close as possible to the terminal to cut down on travel time, but the subway line expands the options for those willing to transfer, or those with jobs on the Island. The train played a big role in the development of the Island’s South Shore, with the promise of a one-day rail link to Manhattan enticing home buyers to invest further and further out. A cross-harbor rail tunnel never came, but the construction of the Verrazano-Narrows Bridge still draws Brooklynites looking for a 40-by-100 piece of suburbia. Oddly, the South Shore, the area furthest from Manhattan, is where you will find the some of the most expensive houses, including those on Nicolosi Drive in Southeast Annadale, where ocean- and lakefront mansions popped up in 1980s. That, along with Todt Hill, Emerson Hill, and Lighthouse Hill, where large homes with city and ocean views dominate, is the cream of the crop as far as Staten Island houses go, although your mileage may vary on the designs. For example, get an eyeful of the ostentatious four bedroom, seven bath pictured above on Nicolosi Loop, listed for $3.7 million. By the late 1980s, the South Shore became peppered with ill-conceived townhouses in developments like the Village Greens in Arden Heights, dense neighborhoods on cul-de-sacs that ended up overcrowding schools and putting pressure on utilities. But those homes are still great starters for young families, offering the opportunity to own a piece of New York City at a fraction of the price you’d pay in the four unforgotten boroughs. Here's a two-bedroom, three bath townhouse in Arden Heights for $330,000. Denino's is one of the stalwarts among the Island's giants of pizza. 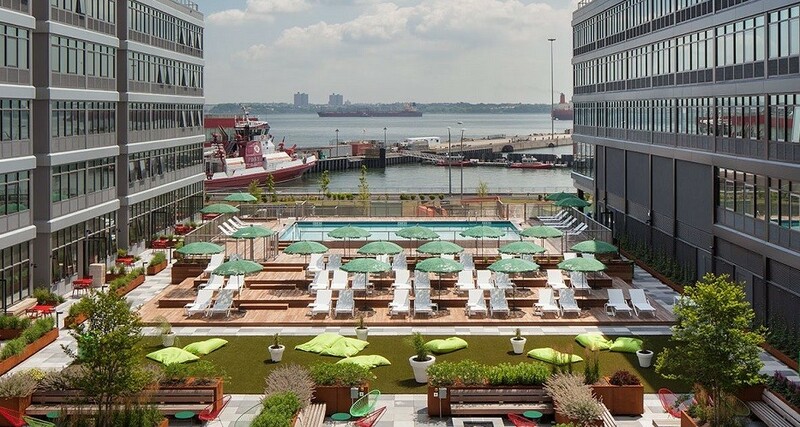 Know what you want: Staten Island’s housing stock consists of quiet hilltop mansions, waterfront co-ops and condos, first-home townhouses, and one- and two-family options. There is something for everyone, but to get anywhere in the search, you must start with an idea of what you want. 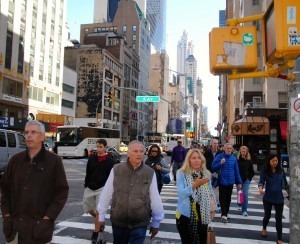 Know where you want to be: A big factor in choosing a location is where you work. Many Islanders are city employees who live and work on the Island largely because commutes can take so long—think over an hour drive and multiple tolls from Tottenville to Midtown. Consider green space: Staten Island is called the Borough of Parks for a reason: it has more parkland than any other. On the North Shore, Clove Lakes Park and Silver Lake Park are meticulously landscaped. The centrally located Greenbelt is a more unbridled wonderland with lakes, deer, and arguably the best hiking trails in the city. The soon-to-open Freshkills Park on the site of the former Fresh Kills Landfill will be the city's largest green space when it's finished (the latest estimated completion date is 2036). And the Island has golf courses, three public and one private. 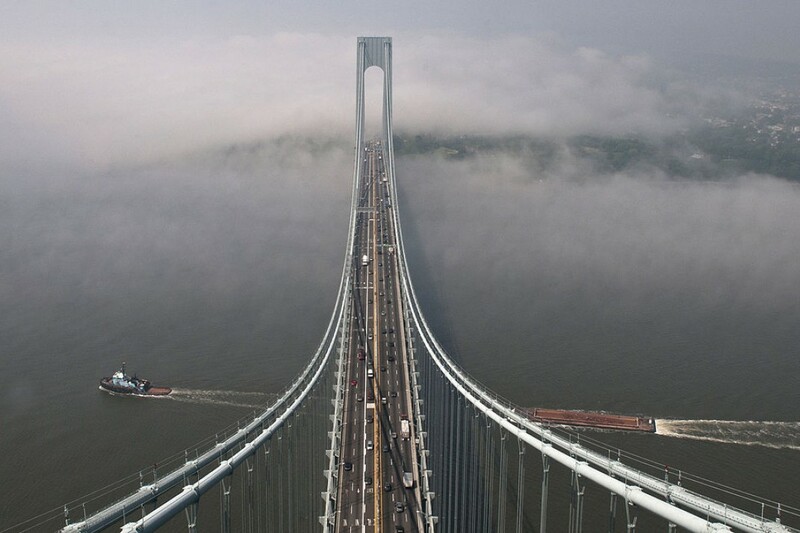 Be careful where on the island you buy: One rule that I learned growing up is “Don’t buy below the Boulevard.” The Boulevard is Hylan Boulevard, the island’s longest road, stretching from the Narrows up north all the way down to Raritan Bay, at the island's southern tip. Hurricane Sandy proved the old adage: many houses located below the roadway flooded, and more people died there during the storm than anyplace else. Fortunately, the Island has plenty of high ground to choose from, some of it just a block or two away from the harbor. You’ll most likely need a car: Public transportation on the Island took a big hit in 1953, when two of the borough's three rail lines closed. Now, buses crisscross the island on most of its major thoroughfares, but they are slow to move during peak drive times, which is pretty much sunrise to sunset. Having a car is the easiest way to get around, especially on the South Shore, and definitely on the North Shore if you want to make a Costco run. Schools: The South Shore’s public elementary and middle schools are considered some of the best in the city, but things get iffy at the high school level, where kids can get lost within the large student bodies inside brutalist structures. North Shore schools are a mixed bag, but parochial schools are still popular on the Island. High schoolers with great grades can test into Staten Island Technical High School in New Dorp, one of the most elite public schools in the city. The private Staten Island Academy's sprawling campus sits atop Todt Hill, the highest point on the Eastern Seaboard south of Maine. 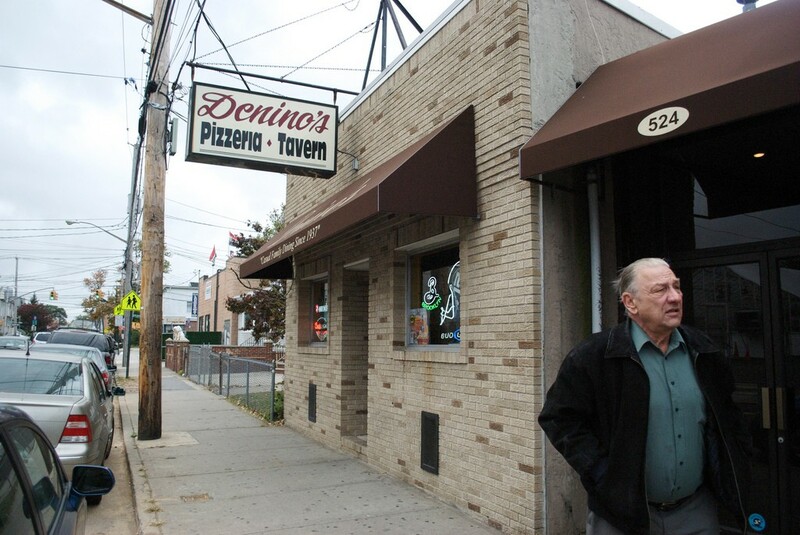 Pizzatown: I’ll keep it simple: Denino's in Port Richmond; Joe and Pat’s on Victory Boulevard; Lee’s Tavern in Dongan Hills; Nunzio's on Hylan Boulevard in Midland Beach, and Gennaro’s on New Dorp Lane are the best old-school Staten Island pies. But the Bay Street newcomers—Pier 76, Paulie’s, and Molo—are giving them a run for the money. Shopping: Bucking the anti-mall trend across the country, the Staten Island Mall is in the middle of an expansion that will nearly double its size and add a supermarket and movie theater. The Empire Outlets is set to open next year near the Staten Island Ferry, and a third shopper's paradise, Riverside Galleria, is rising in the shadow of the Outerbridge Crossing in Charleston. Hylan Boulevard has a number of shopping plazas near New Dorp, and an Alamo Drafthouse movie theater is coming to the under-construction Boulevard shopping center there soon. Vince DiMiceli, the editor-in-chief of The Brooklyn Paper, is considered the first person to refer to Staten Island as “The Rock” in print, though he doesn’t claim to have invented the term.